What is the Best iPad Mini Case With Keyboard Available? 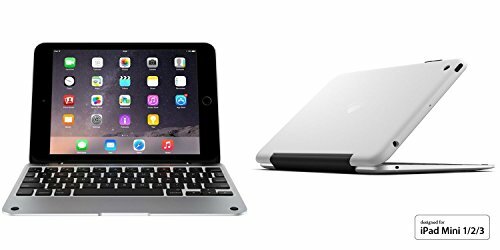 The Apple iPad Mini is the perfect size tablet for many users, however, for some, it’s not complete without a physical keyboard; one of the Best iPad Case With Keyboard. Although the iPad Mini 1 is no longer very well supported by manufacturers of keyboard cases, there are still some good quality ones still available. This review will help you choose the best iPad mini case with keyboard for you. All current versions of the iPad mini are almost identical in size. This means that most of the cases with keyboard listed below with fit with all generations of the iPad mini. Check the Compatibility section for more details or take a look at the Apple Website. Although Apple iOS features its own virtual on-screen keyboard, it can be quite restrictive to use for extended typing sessions. This is especially true if you use your iPad for note-taking at work during meetings. In this instance, a separate keyboard case can help enormously with your productivity. The full-size iPads have a good choice of cases with keyboards to choose from. Unfortunately, there is not such a good choice for the iPad mini, especially ones that really work well. A good keyboard case should be sturdy and durable, as well as easy to use for typing. Other features which should be considered include back-lit keys, battery life, and the availability of dedicated keys to control iOS specific features. Top 5 Best iPad Mini Case With Keyboard that you can buy. If you want to keep your iPad mini lightweight, and as thin as possible, then the Logitech Ultrathin keyboard cover allows you to remove it quickly and easily. If you’ve ever used an Apple Smart cover and prefer that style of protection, the Ultrathin is for you. Many of the keys on the Ultrathin mini are nearly full-sized, such as all the letters of the alphabet. The Spacebar is also large enough to be used by either thumb. Touch typists will find standard nibs on the F and J keys help keep your fingers in the right places. The feel of the membrane-scissor type keys is very good. You can get up to 3 months battery life on one charge, and the cover is available in white or black. Only protects the front of your iPad, not the back. Logitech’s Ultrathin Folio combines the same functional keyboard layout as with the Ultrathin cover but with the addition of even more protection for your iPad. The Ultrathin cover is disconnected, but the Keyboard Folio is fitted to the iPad mini. And I find it fits perfectly. While Logitech offers this case in two separate finishes, leather and cloth, the textured version is better due to the extra grip it provides. It also ensures that your iPad mini stays put no whatever surface you leave it on. Both fit the original iPad mini and mini Retina, which are nearly identical in size and weight. BATTOPs Ultra-thin Bluetooth Keyboard Case for the iPad Mini acts to protect iPad minis screen. It is quite comfortable to use and offers e reasonably good typing experience. However, some users find that the small keyboard took some time to get used to. Also, some users noted that when in use, the the keyboard tended to slip on some surfaces. The keyboard is securely held in place by powerful integrated magnets. It also supports the iPads automatic wake/sleep functionality. The “EasyType” keys are orientated in a traditional typing layout using a small form factor. It supports the iPad mini function shortcut keys for the most used commands, such as copy, paste etc. The integrated hands-free viewing stand mean you can work without having to hold iPad mini. All of the ClamCase products have a high quality feel and look. They also transform your iPad mini into a mini laptop of sorts. The ClamCase Pro is a great combinations of clever design, solid iPad protection, and a very good keyboard. The well-built clamshell encloses your iPad in an attractive, aluminum-and-plastic case that looks and functions almost exactly like a laptop. The flexibility of this case allows you to flip the keyboard around toward the back, and the solid hinge makes a great stand for watching videos. You can also rotate the keyboard and fold it flat against the back of the iPad to turn the entire package into a thick tablet. The ClamCase Pro’s keyboard itself is one of the best available in a keyboard case. It includes a nice array of dedicated special-function keys. On one charge you’ll get up to 6 months or 100 hours of typing time. You also get a dedicated row of keys specialised for iPad. Removing your iPad mini is also super simple, which makes the ClamCase Pro a very practical option. The ZAGG Cover with Backlit Bluetooth Keyboard works well with the iPad Mini to make it look like a notebook. The Folio offers backlight keys, however, unlike the competition, they are multi-colored. This make the keyboard easy to use in low light conditions. The Zagg Cover has a black, rubbery body that is thin and light but with a sturdy feel. 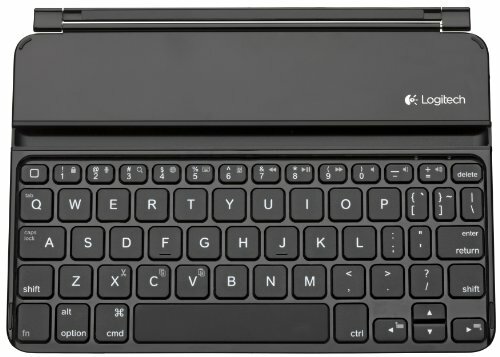 The Logitech Ultrathin Keyboard Cover Mini is not an option which works perfectly for the iPad mini. It lacks the completeness which Apple builds around its devices. The cover is designed to be easily removed and perhaps this is where this cover loses points when compared to other covers on the market. The Logitech Ultrathin Keyboard Folio for iPad mini makes the tablet an excellent portable choice for productivity. It will serve you well for years to come. 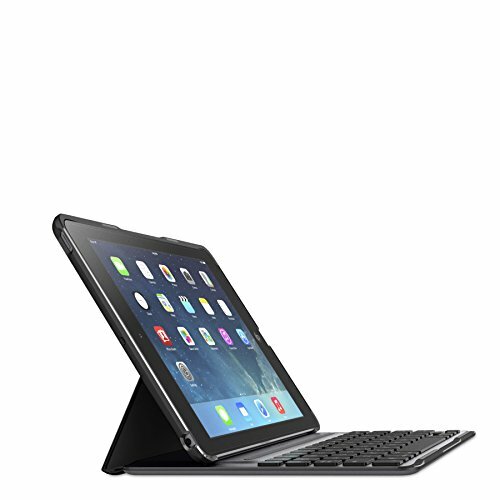 The BATTOP Ultra-thin Bluetooth Keyboard Case with stand for iPad Mini is a compact lightweight keyboard cover. It is ideal to keep the form factor of the combined iPad and Keyboard small. The ClamCase Pro iPad 2/3/4 Keyboard Case, offers one of the best on-your-lap typing experiences of the iPad keyboard cases that are available on the market today. The ZAGG Cover with Backlit Bluetooth Keyboard for Apple iPad mini 1 / mini 2 gives you a comfortable typing experience. This sleek cover’s dynamic backlighting and dedicated iOS keys make it an ideal companion for your iPad Mini. What’s your favorite iPad Mini Case With Keyboard? From our list of The Best iPad Mini Case With Keyboard, which one would you consider? There will surely be more to choose from in the coming weeks, if none of these pique your interest. Let us know how you prefer to tackle your typing on your iPad by sending a comment.